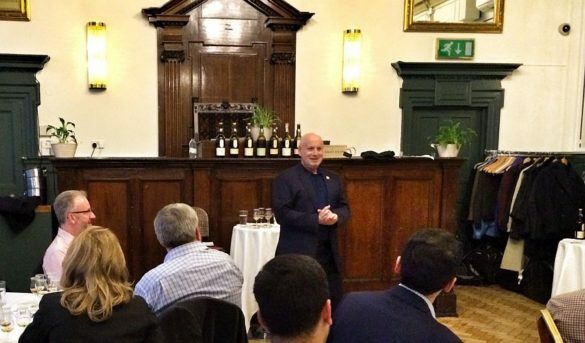 Colin Dunn knows how to open a whisky tasting. 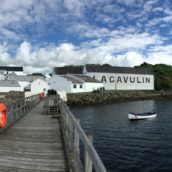 While invoking wonder-dom for Islay may seem hyperbolic, there are some tasting line-ups that justify such comments – our Lagavulin 200th Anniversary tasting was certainly one of those. 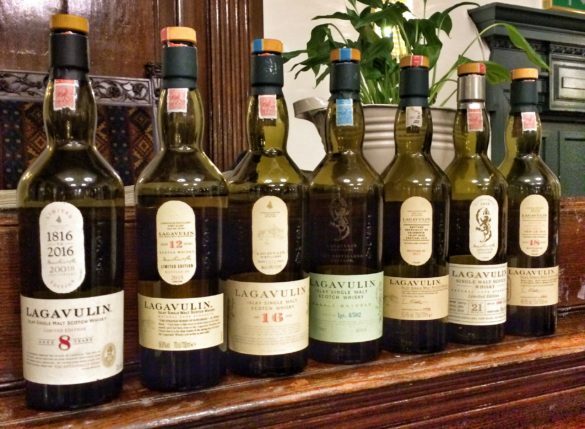 We kicked off the evening with the 2015 edition of the Lagavulin 12 Year Old. 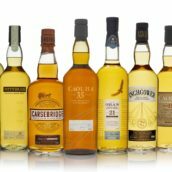 It’s a cask-strength monster of a whisky that you wouldn’t normally start proceedings with, but Colin was adamant – ‘The best whisky to start with is the one you shouldn’t!’ It’s a punchy dram and woke up the room. Nose: Malt loaf, dates and butter, hints of salty liquorice and wet peat smoke. Spiced, butter-rich shortbread develops, along with singed pineapple and spiced sponge – Heston Blumenthal’s tipsy cake with spit-roast fruit – dried apricot and mango, and a touch of coal dust. Palate: Soft and fruity, with peach, pear and apple backed up by dark, sticky, sweet black liquorice. Sweet and savoury notes of herbal throat lozenges build, with spiced treacle sponge, sultanas and raisins. Minty hints, dark chocolate and soft smoke linger at the back. Finish: Raspberry jam, coal and wood smoke, earthy peat and lingering apple sauce. Comment: Fruitier than I remember, especially on the nose, but just as elegant and poised. A classic. 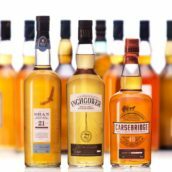 While the 1991 was the billed highlight of the evening, Colin had one more trick up his sleeve – the recently launched and much-spoken-about Lagavulin 18 Year Old, bottled specially for this year’s Islay Festival and only available from the distillery. It’s almost certainly sold out by now, with only a handful of bottles still available at the distillery at the time of the tasting, and Colin sneaked this bottle off the island so that we could have a taste. Nose: Waxy, with notes of distant swimming pools. Sweet fruit and grassy savoury notes roll in, with pink Chewits and soft wood smoke joined by ferns, sour peat and freshly cut grass. The smoke stays subdued, with barley sugar, malted milk biscuits and cream filling out the palate. Palate: Soft and sweet with earthy undertones: mulch, chocolate and liquorice, ashy touches and slowly developing orchard fruit. Salted caramel sauce sits drizzled on top, balanced by aromatically muddy notes of freshly turned sod. Finish: Bitter liquorice pastilles, apple Jolly Ranchers, hints of marzipan, recently trimmed hedges and a touch of bung cloth. For the full rundown on the evening, head to Storify, where you can see all the tweets from the night.